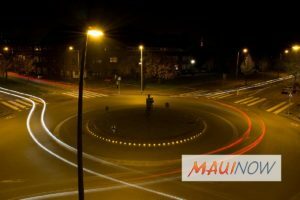 Maui Now : Ask The Mayor: Will Traffic Improve at Waiale-Waiinu? Ask The Mayor: Will Traffic Improve at Waiale-Waiinu? Maui County Mayor Michael Victorino answers some of the most-asked questions submitted to his staff. Q: Are any improvements going to be made for traffic flow at the intersection of Waiale and Waiinu roads? The two-way traffic on Waiale Road has a right-of-way with no signal or stop sign, while traffic on Waiinu Road is backed up and at the mercy of those courteous Waiale drivers who occasionally let a few Waiinu drivers through. A: Mahalo for the question and I’m happy to say improvements are in the works. 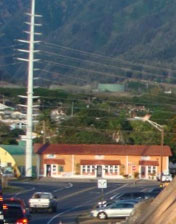 The Department of Public Works plans to propose a traffic signal or roundabout at the Waiale-Waiinu road intersection in Wailuku before this summer. We are currently awaiting a new feasibility analysis to evaluate the costs and benefits of either option as well as analyze existing and future conditions at the intersection. We expect the analysis to be completed by the end of the month. The department will then review the report and provide a recommendation to the County Council. In 2017, a roundabout validation report was done for the intersection, but due to new housing developments we believed it was prudent to review the area again. We also believe an extension of Maui Lani Parkway near The Church of Jesus Christ of Latter-day Saints to the Maui Lani Traditions area could ease traffic as well. The Waiale-Waiinu intersection sees an average of 1,800 vehicle trips during a peak hour, while the Waiale Road in the vicinity of the intersection averages about 13,000 vehicle trips per day. We believe a roundabout is more flexible and could accommodate nearby driveways, including Maui Memorial Park. A traffic signal would essentially leave the roadway configuration the same. We estimate the cost for a roundabout to be around $2.6 million and a traffic signal to be $2.2 million to $2.4 million. Planning and engineering work are anticipated to begin this year for the intersection with land acquisition to be completed in 2020. Designs could finish in late 2020 to early 2021. Construction is expected to start in fiscal 2021 and the county’s contribution is estimated to be $500,000 to $1 million, depending on the final design and Maui Lani’s contribution, with the federal government covering the balance. Want to Ask The Mayor? Submit your Maui County related questions to Mayor Michael Victorino by email at AskTheMayor@mauicounty.gov, by phone at (808) 270-7855 or via mail to 200 S. High Street, ninth floor, Wailuku, Hawaiʻi 96793. Questions submitted will be considered for inclusion in the “Ask the Mayor” column. 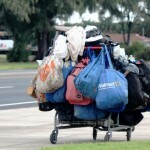 Ask The Mayor: Are There Plans for Homeless Housing on Maui? 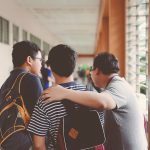 Ask The Mayor: What's Being Done About Bullying? Ask the Mayor: How About A Roundabout for Maui Lani Parkway? Ask The Mayor: Can We Fix Traffic Congestion on South Kīhei Road?